Please contact Jessica Gallagher to register by January 12, 2019. Also, we will be following up with registered teams for further details in the next couple of weeks. Students in mock trial learn about the law, practice analytical thinking and public speaking, and have a lot of fun in the process. They assume the roles of attorneys and witnesses for both plaintiffs and defendants. In fact, teams do not know until minutes before the trial begins which side they will argue! 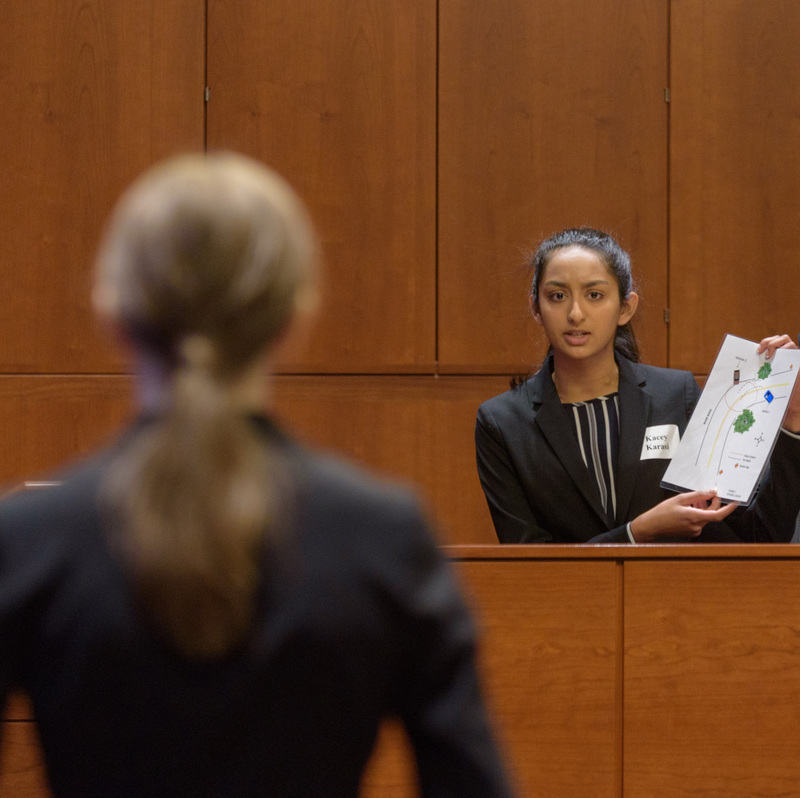 Each year, more than 70 teams, totaling some 1,200 students, compete at regional, state and national levels – with support from more than 500 attorneys, educators and other community representatives acting as coaches, judges and coordinators. For more information about Mock Trial High School Competitions.